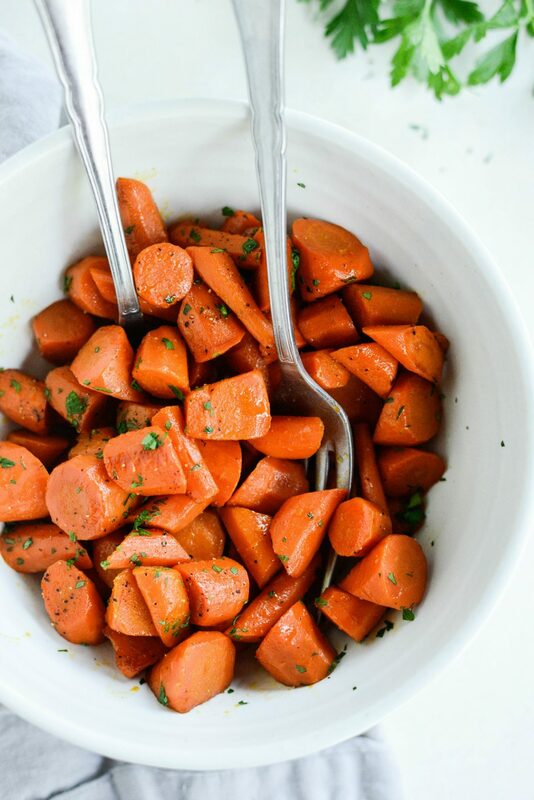 These Brown Sugar Glazed Carrots couldn’t be any easier! 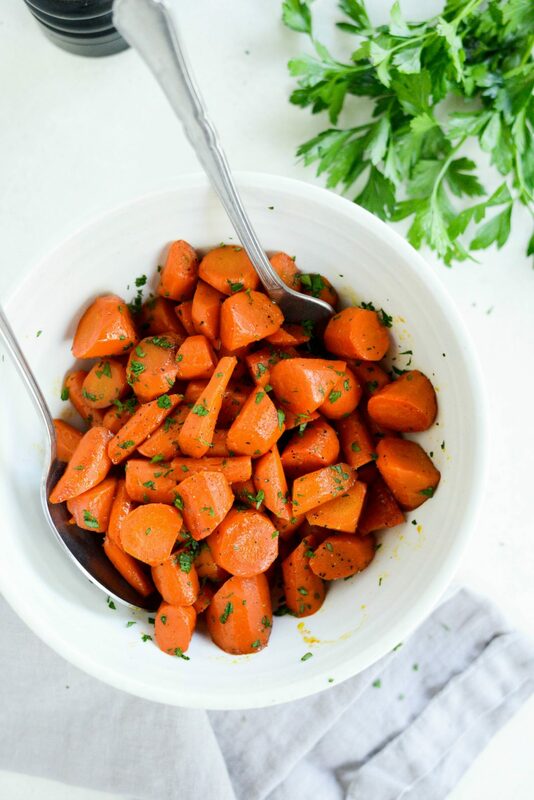 Carrots cook in butter and brown sugar until tender. The liquids evaporate leaving a sweet brown sugar glaze behind. A perfect side dish to any meal. I probably, no I know I never appreciated my mom’s cooking until my later teen years. But that’s most kids, right? 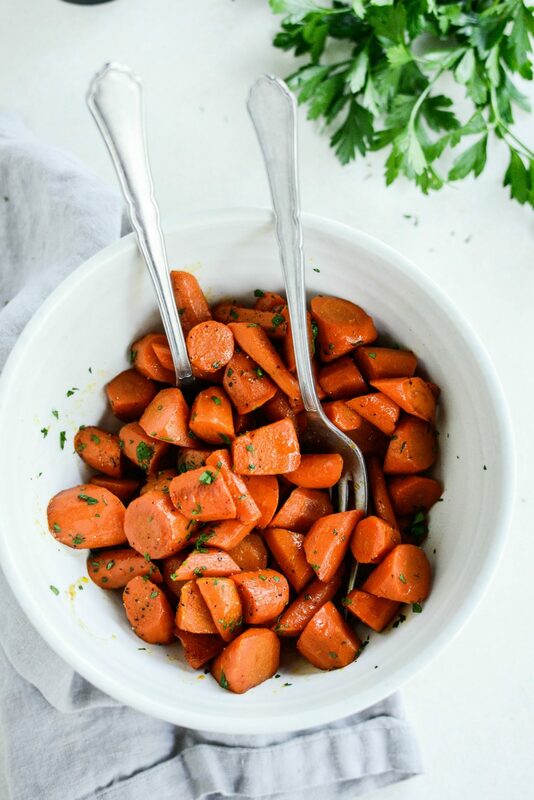 My mom use to make something similar to these brown sugar glazed carrots whenever she made meatloaf and I would not eat them. Who knows what I did with them. I probably fed them to our dog Mandy, wrap them up in my napkin and pitched them into the garbage or hid them in the bottom of my full glass of milk. <—true story, but with mashed potatoes. Carrots would be to obvious. 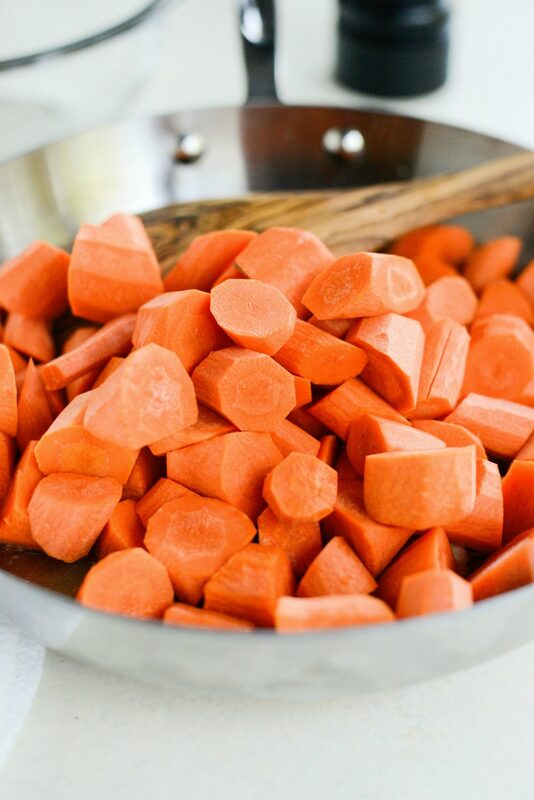 Now I want to shake that girl and tell her that the sweet brown sugar glaze that coats the carrots enhances the natural sweetness of the carrots and you should eat them and love them. I actually don’t remember the day that I decided to grow up and eat my veggies, but I’m glad I did. Now I just am reliving it with my girls. As of right now, brown sugar glazed carrots aren’t happening. The struggle continues. 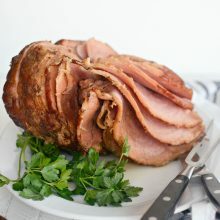 They are simple to whip up, using one pan and common pantry ingredients butter, brown sugar, salt and pepper. 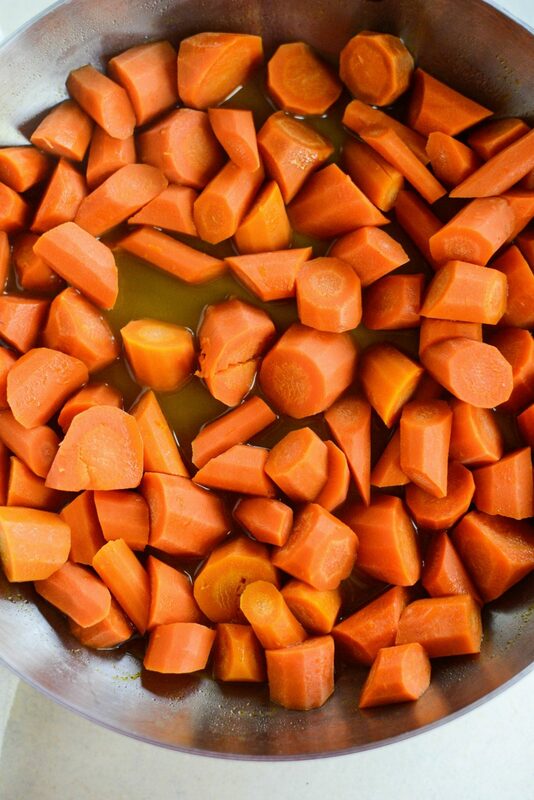 You’ll also need a 1/2 cup of water and 1-1/2 pounds of peeled carrots. After peeling the carrots, I roll cut them into bite-sized pieces. 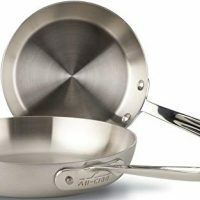 Next, in a deep sided 12-inch skillet; add the 1/2 cup of water, tablespoon of butter, brown sugar and then 1/2 teaspoon of kosher salt. Then add the carrots to the pan and toss to coat in the glaze liquids. 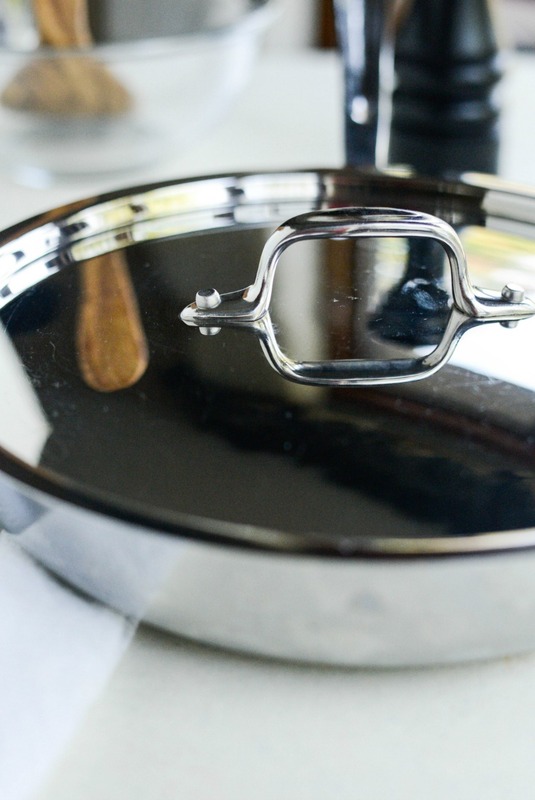 Next, cover the pan and bring the carrots and the glaze liquids to a boil on high heat, cooking for 8-10 minutes. They should be fork tender but not mushy. Next, remove the lid and stir the carrots. Bring them back up to a boil and cook until the water has completely evaporated and the sugar has clung to the carrots. Try not to stir the carrots too often, so they get some caramelization. Glazed to perfection. Next, just season with some freshly ground black pepper. Lastly, sprinkle with some finely minced fresh parsley [or dil]l before serving. Enjoy! 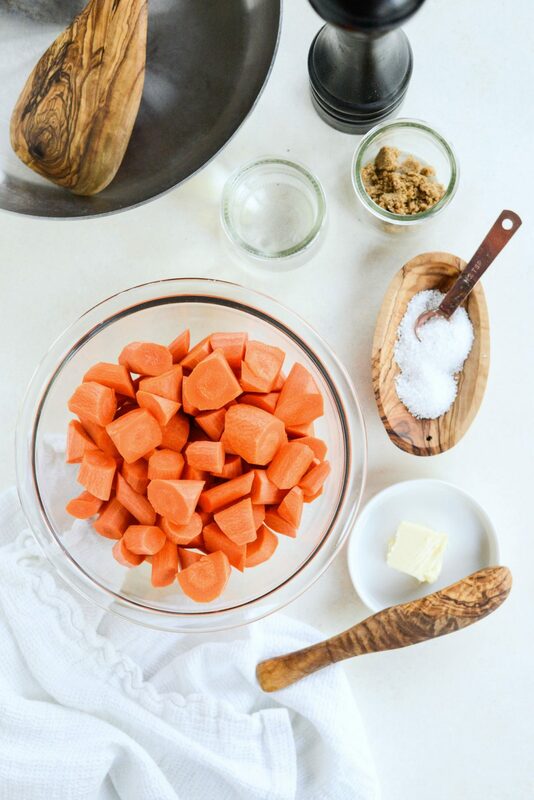 And if you give this Brown Sugar Glazed Carrots recipe a try, let me know by snapping a photo and tagging me on twitter or instagram! 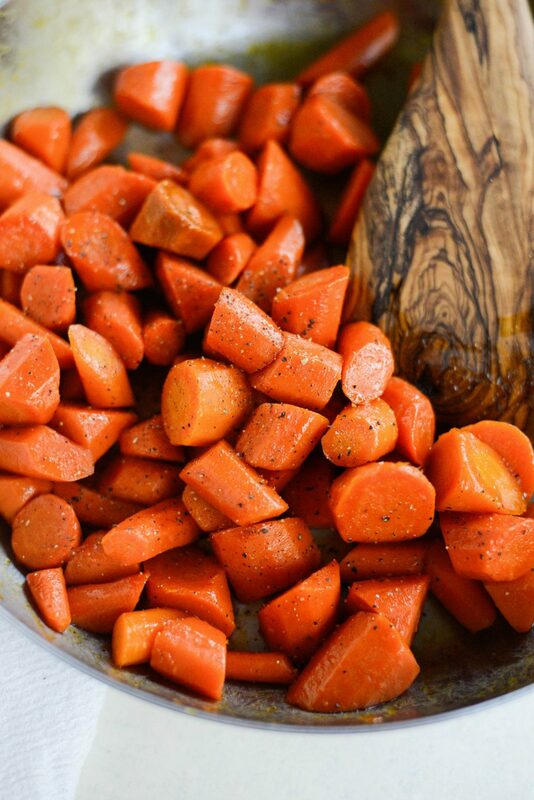 These Brown Sugar Glazed Carrots couldn't be any easier! 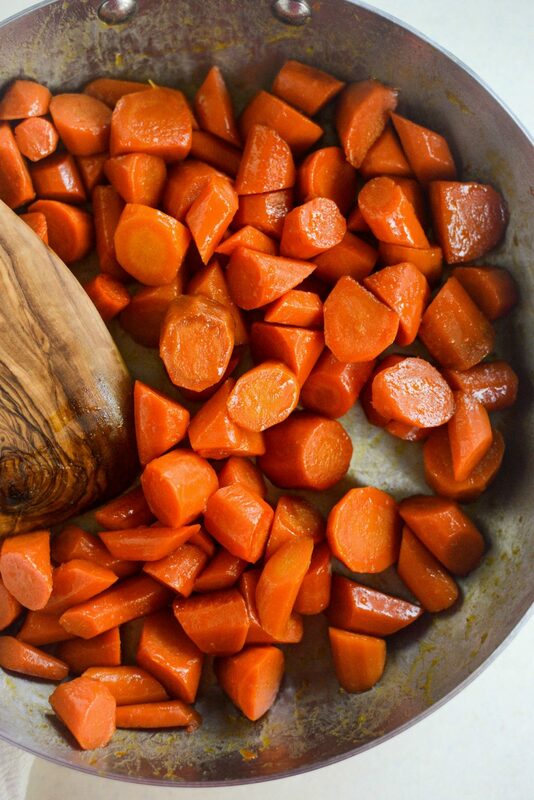 Carrots simmer in butter and brown sugar until tender. The liquids evaporate leaving a sweet brown sugar glaze behind. 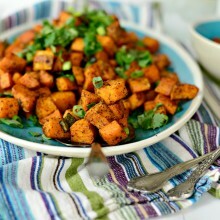 A perfect side dish to any meal. 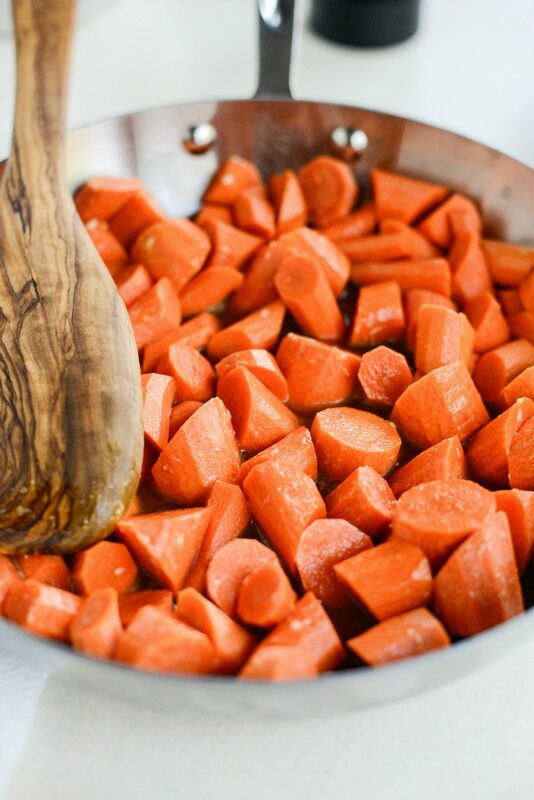 In a large, deep-sided skillet over high heat add the the butter, brown sugar, salt, water and carrots to boil. Cover and bring to a boil, and cook for 8-10 minutes. 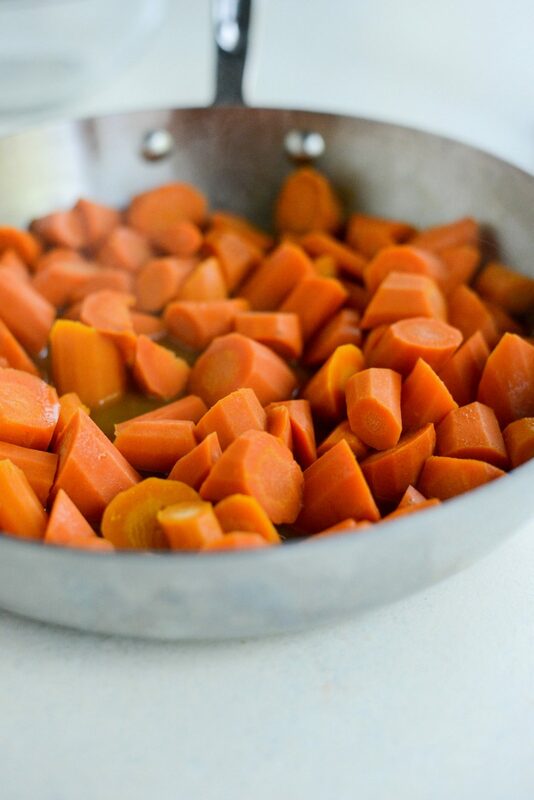 Then remove cover and stir the carrots occasionally until the water has evaporated and a sugary glaze coats the carrots. About 5 to 6 minutes. Season with pepper and serve with a sprinkle of minced parsley. Oh I love carrots like this but I've never put pepper in them. I will definitely try that next time! 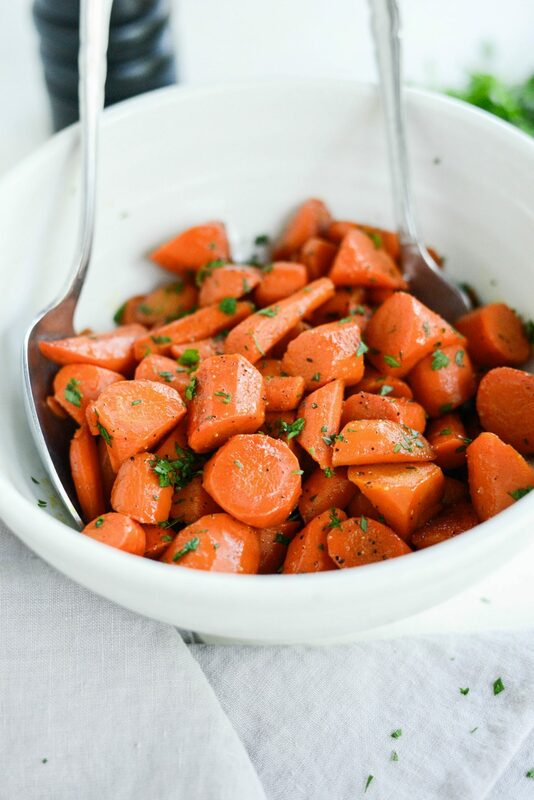 I have just recently just started to love the taste of cooked carrots thanks to the roasting process. I will have to be sure and try this method out. Brown sugar being in the mix means you can't go wrong! Looks simple yet delicious! I love your pictures… your kitchen looks so light and inviting! 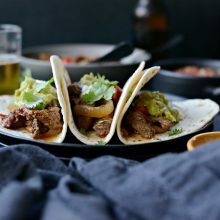 That looks delicious, and so easy to make. Lovely pictures. oh thank goodness! 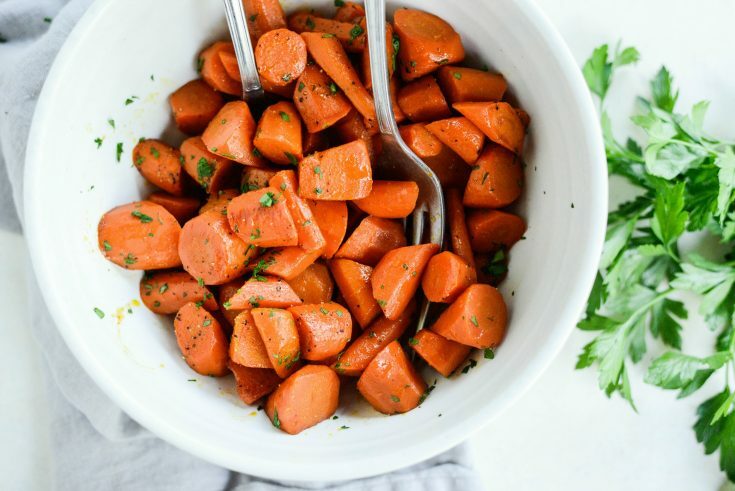 i love turning to your blog for great recipes, i have a wealth of carrots for dinner tonight and was really hoping for a glazed carrot recipe, and voila! here it is! so excited! 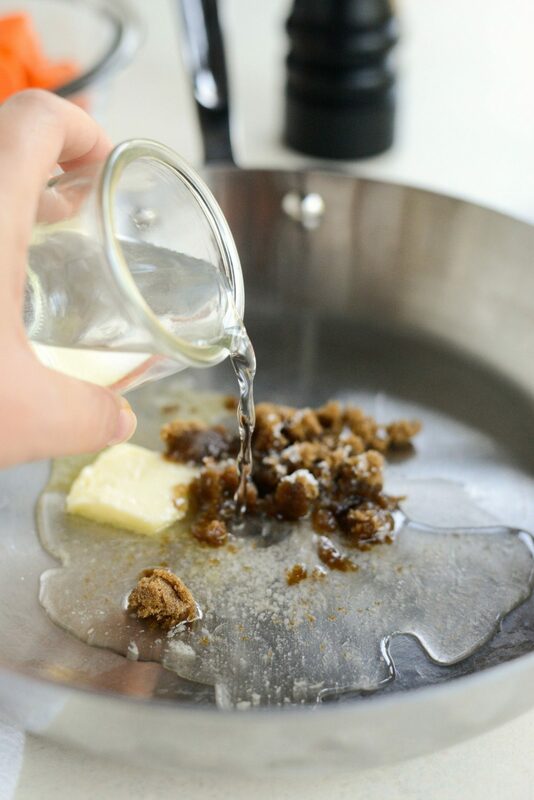 A lovely addition to the glaze is fresh grated ginger (1 tsp) or powdered ginger (1/2 tsp) and a squirt of lemon juice–very sophisticated flavor! Oooh I love the ginger addition!